Those who attended the Boys. Write. Now. 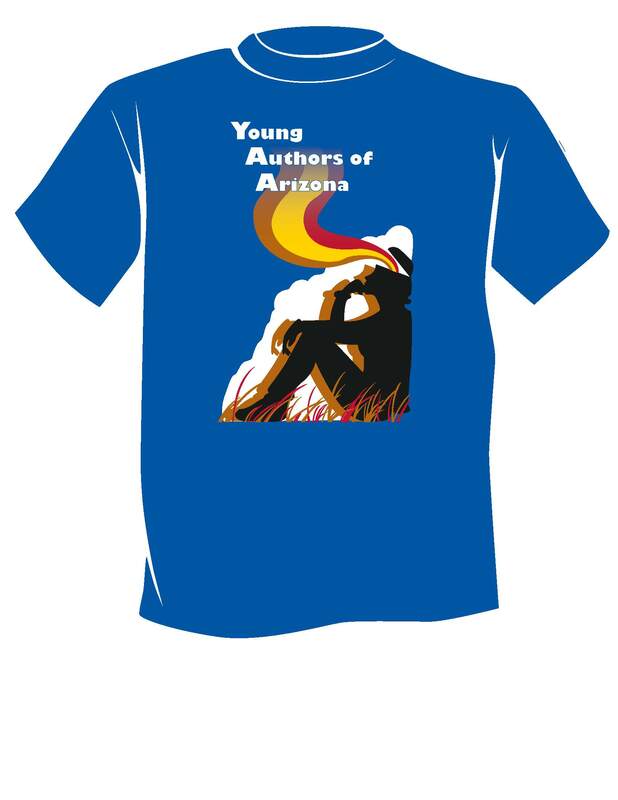 workshop and enter at least one composition in the 2015 Scholastic Writing Awards will get the pictured Young Authors of Arizona t-shirt, free! Grade 7-12 boys, parents, and published YAA authors attended a free Boys. Write. Now. summer workshop on Friday, July 18th from 11:30 a.m. – 4:30 p.m. at the Burton Barr Library in downtown Phoenix. The event was a success. The workshop was for any 2014-2015 grade 7-12 boys that want to learn dynamic skills from college professors and enjoy developing original compositions in a writing lab environment. Workshop instructors included Paradise Valley Community College English professors David Pegram and Billy Gerchick. Navya Dasari, a Bloom-published author, also taught. Attendees to the workshop that end up entering at least one composition in the 2015 Scholastic Writing Awards will earn a free YAA t-shirt, pictured at right. YAA help the workshop to increase male participation in the 2015 Scholastic Writing Awards as part of the Alliance for Young Artists and Writers’ Start. Write. Now. summer program.